This is a true artifact of animation history! 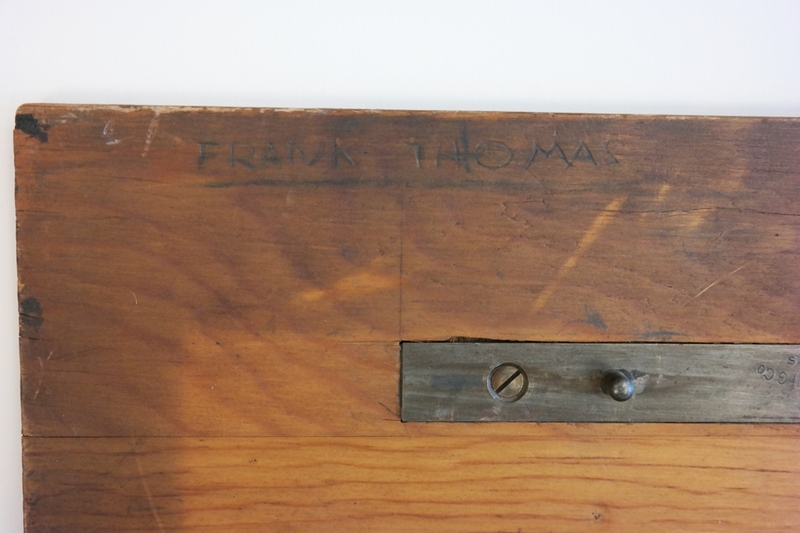 This is Frank Thomas' personal drawing board that was used by the animator to draw while he was working on multiple films. The board came directly from Frank Thomas' estate, and it is in fantastic condition for such a unique personal tool. 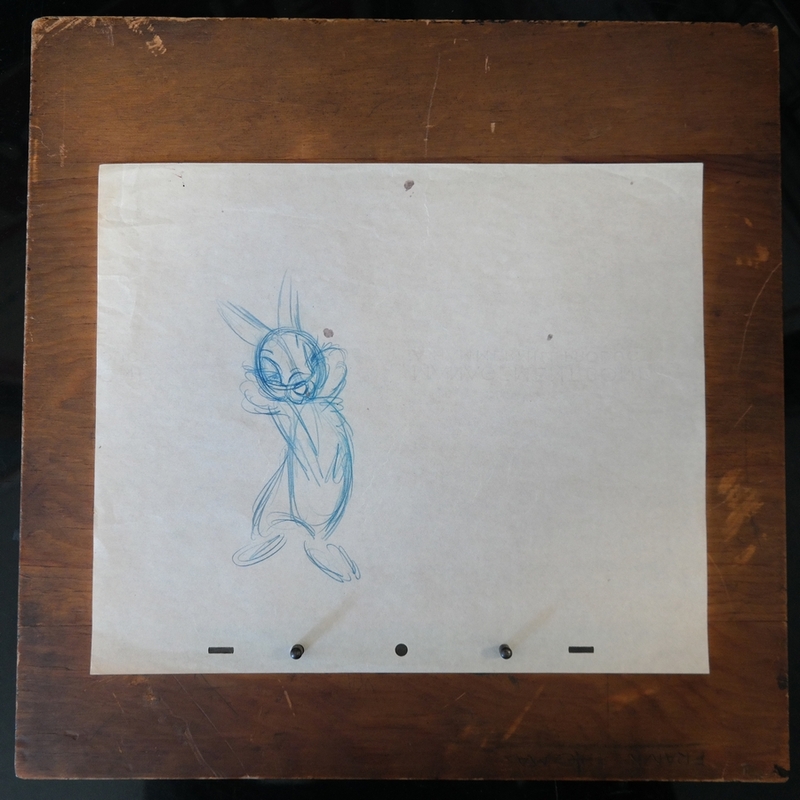 This drawing board is the one that Frank used for all of his work while he was animated for the Disney classic Bambi, and his fondness of the board is such that this was his favorite board to draw on. 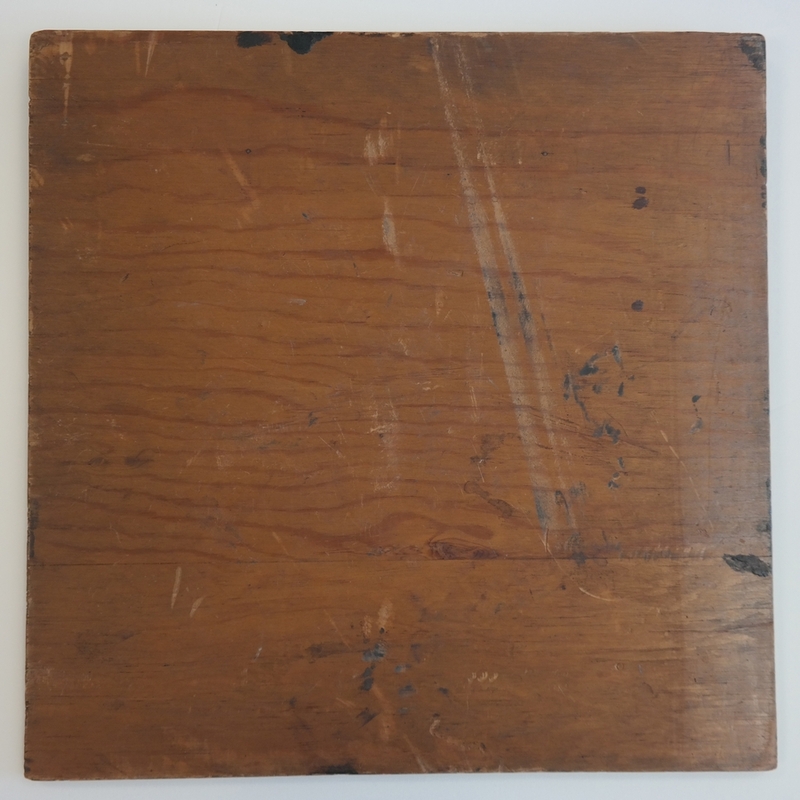 The board is a single piece of wood that measures 15" x 15" and is about 1/4" thick. 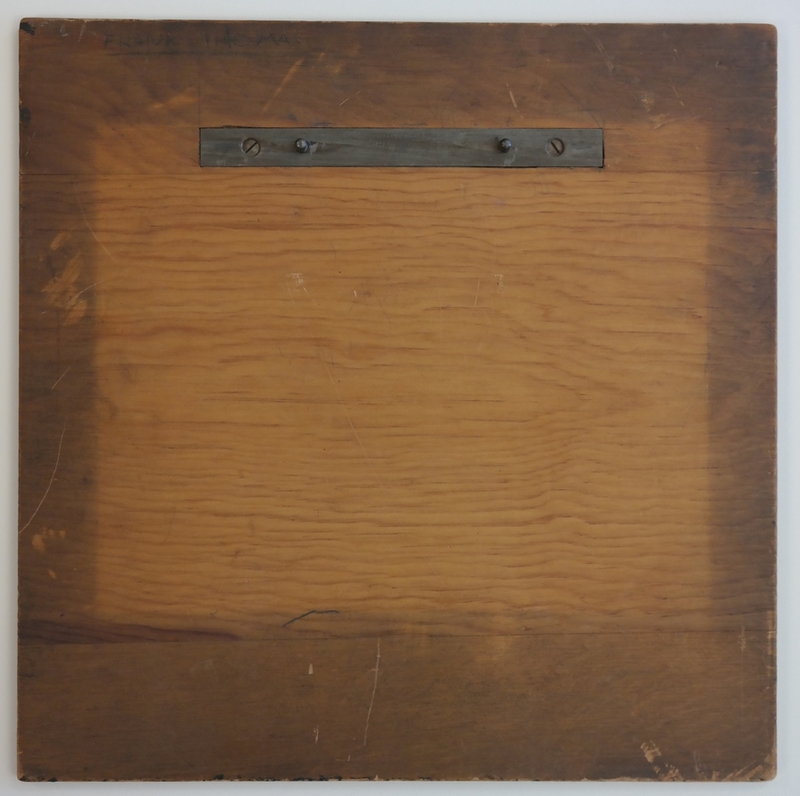 There is a metal ACME 2 peg strip attached to the wood in order to hold the animation paper on the board. The two peg strip fits both the early 1930s paper with two peg hole as well as the later 1930s five peg paper. We've photographed the board with a rough production sketch of Thumper, used in the making of Bambi, sitting on the pegs to show how the five peg paper fits onto the pegs. 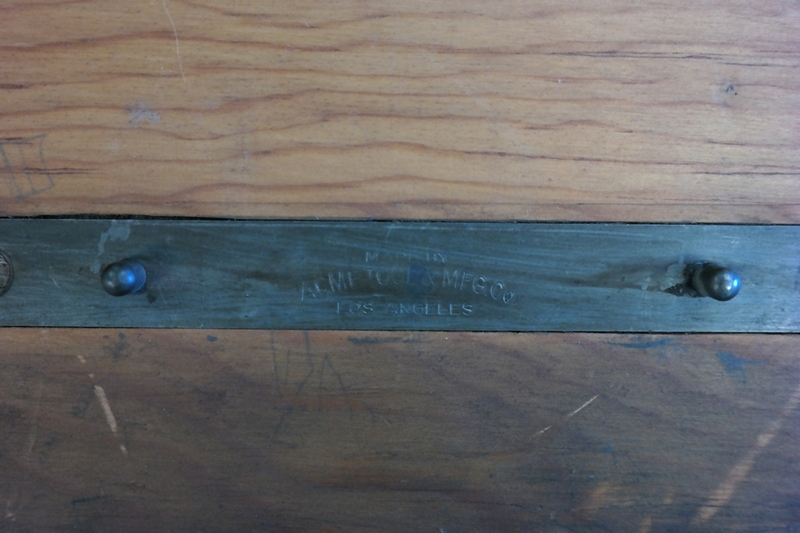 Frank's name is written, upside-down, in pencil in the lower right corner of the board, and the board is in good condition with the type of wear that would be expected for a well utilized tool.